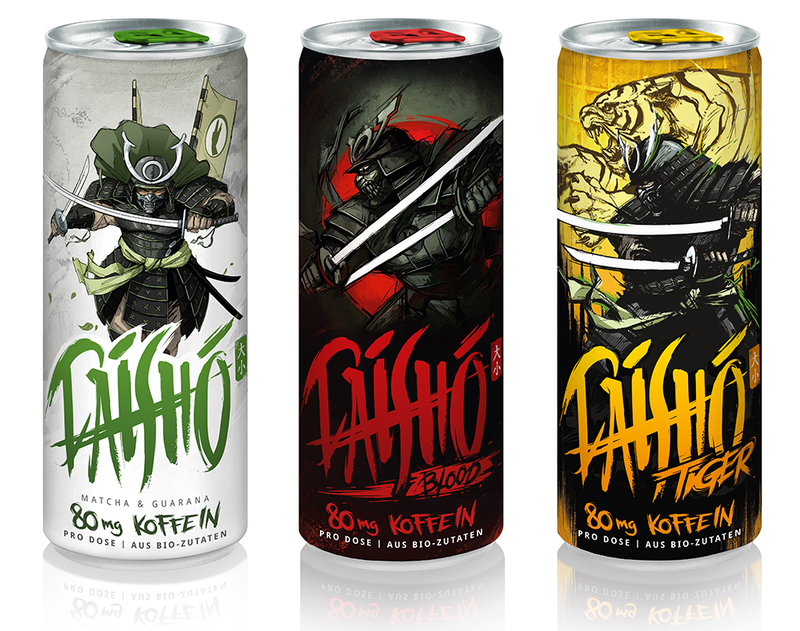 30 Jul 2018 --- Ball has collaborated with Attila Hildmann Empire GmbH to produce complexly designed cans for its organic drink, Daisho. The central design element of the 25-centiliter Slim cans depicts a Samurai warrior with a pair of traditional swords called Daisho. To highlight the sophisticated design in the best possible way, the cans feature Ball’s popular HD printing technique. Produced at the Gelsenkirchen, Germany plant, the cans will be available at retail stores in Germany from July in three flavors: Litchi-Lime, Berry-Vanilla and Mango-Pineapple-Coconut. With the vibrant colored tabs adding to the striking impact of the design, Daisho contains solely natural ingredients such as organic fruit juices, with sweetness from grapes instead of sugar. The caffeine originates from premium organic Japanese maccha, organic guarana and coffee beans. 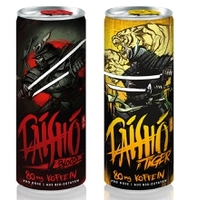 Both the design and the high-quality ingredients differentiate Daisho from conventional energy drinks. However, with 80 grams of caffeine per can, Daisho is a true pick-me-up. For each can sold, Attila Hildmann supports a tiger conservation project in Kaziranga and Pobitora National Park in India. With 1.6 million vegan cookbooks sold nationwide and numerous TV appearances, Attila Hildmann is developing and promoting high-quality products of organic quality, such as Daisho, that hit the market in 2017 in 0.5-litre glass bottles and has been listed since then in all major German organic supermarkets, including Alnatura, Denns and Bio Company. To cover new market segments in food retail and meet the demands of his target audience, Attila Hildmann is now putting his trust in Ball’s stylish and easy-to-transport 25-centiliter cans. Dutch craft beer brand Brouwerij Homeland Amsterdam has also recently collaborated with Ball to create a minimalist, blank can design for its popular spelt beer. Elsewhere, Ball has teamed with Ovayaco, a company that produces and supplies beverages to Moscow-based restaurant chain BlackStarBurger, to design a new stand-out can using Ball’s innovative Strawster technology.